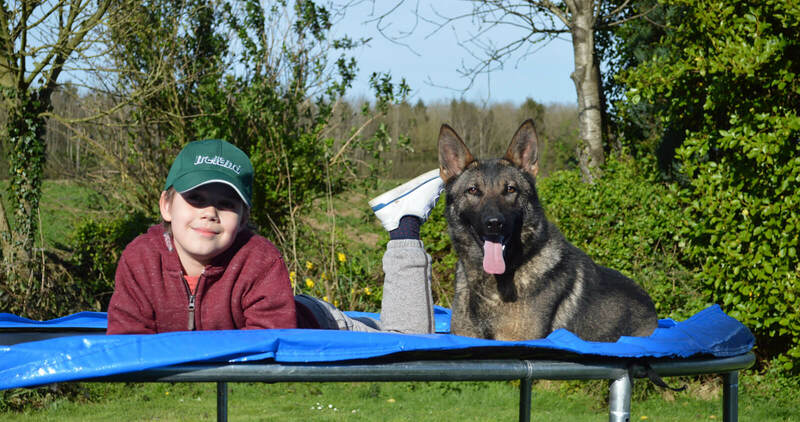 Protection Dog "Protection Dog Vienna"
Protection Dog "Elite Protection Dog Bella"
Protection Dog "Protection Dog - Duke"
Protection Dog "Elite Protection Dog - Carl"
Elite protection dogs are our most highly trained protection dogs for sale. Mainly from our own UK breeding program, each dog has spent two years being nurtured, trained and tested for personal protection. Protection dogs for sale here are fully trained as personal and family protection dogs. They offer great peace of mind and companionship. 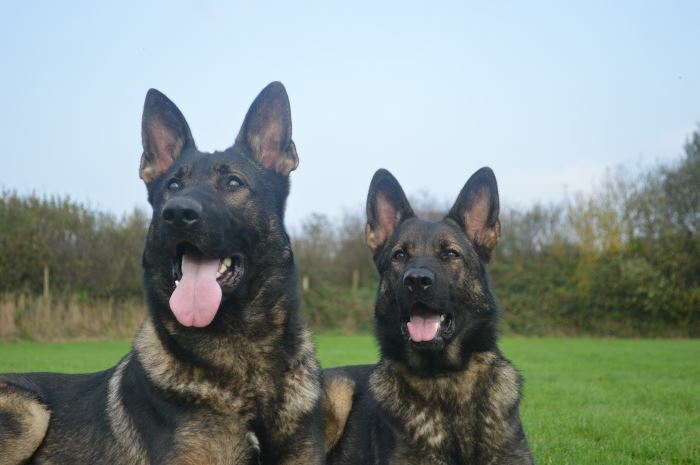 Protection dogs at this level are from our UK breeding program and importation program. Deterrent dogs are as they are described. Trained protection dogs for sale from our breeding program that are family companions, obedient pets from incredible bloodlines that provide a visual and vocal deterrent to threats. 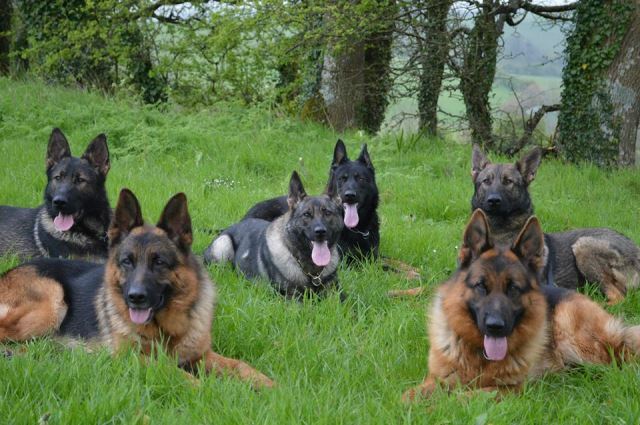 View our wide range of personal protection dogs and family security dogs sold by K9 Protector. 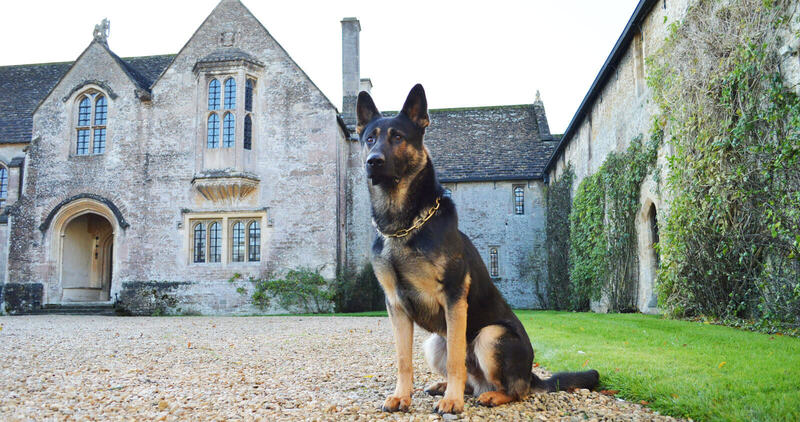 All protection dogs have gone to family homes providing security and peace of mind. We welcome you to view our UK protection dogs and contact us. K9 Protector are experts in training and supplying personal protection dogs and family protection dogs. We match the right protection dogs to you and your family ensuring smooth integration with your lifestyle which also maintains the happiness of the dog or dogs, depending if you require more than one protection dog for personal protection. Our experience and caring approach to training dogs for personal protection is evident in the dogs we supply, hence our message - The Sword at Your Side. Our highly trained protection dogs will protect you, your home and family. We select only the very best working dogs from the most reliable sources in Europe, and we rigorously test each dog's suitability before it enters our training programme. 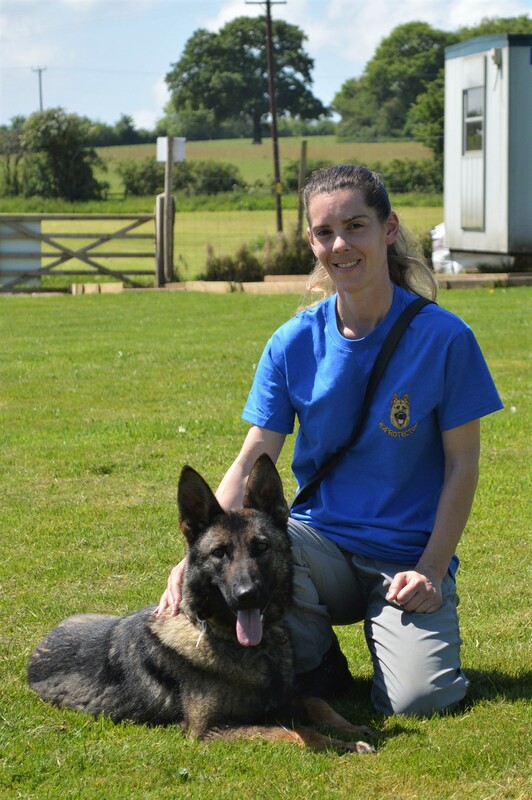 We take only the very best dogs, and continually assess each dogs performance throughout an intensive training course carried out by experienced, professional protection dog trainers. The ones that meet our high standards emerge as sociable, confident dogs with the capability and commitment to fearlessly defend those they protect from any threat or attack. 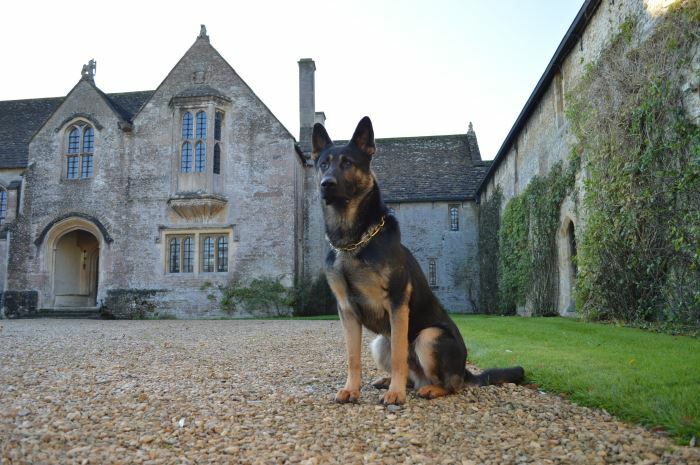 From our base in Bath UK, a few minutes drive from the M4 motorway, we´ve trained K9 Protectors for families and individuals from all walks of life, both here in the UK and across Europe. 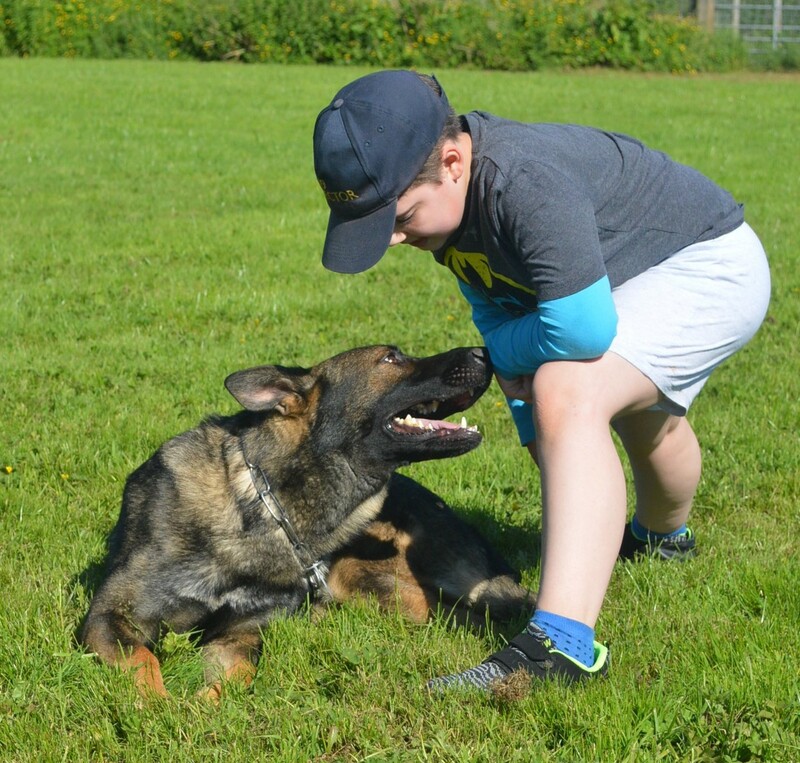 And with over 80 years cumulative experience in Police Dog training and handling, we believe our expertise and knowledge is second to none. All members of the K9 Protector team have trained and handled dogs in threatening and violent situations. 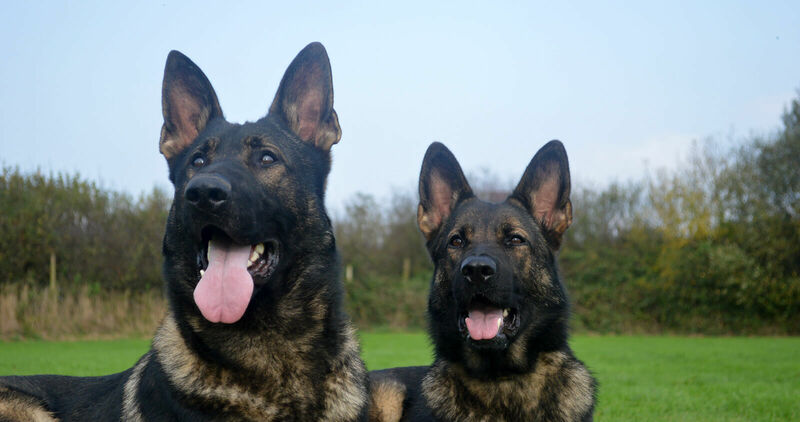 This skill set is used to produce the very best protection dogs available anywhere in the UK. 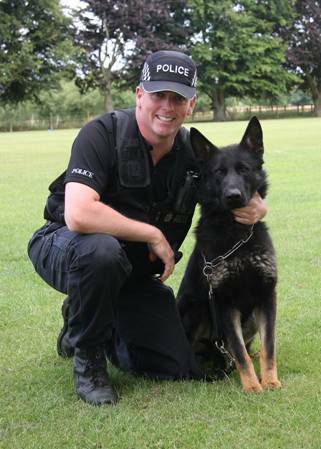 Our senior training staff have literally decades of experience in training police dogs in UK police services. They have trained hundreds of large breed dogs to home office strict standards and whilst the requirements of a protection dog are different to that of a police dog when a dog defends its owner there is little difference. 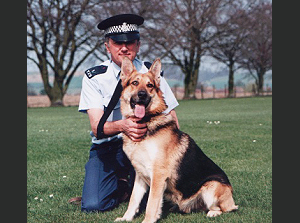 Personal protection dog senior trainer Alaster Bly was a police dog handler in the UK prior to establishing K9 Protector as the leading family protection dog supplier in Europe. Alaster heads up this small but experienced team overseeing the training and development of protection dogs at K9protector. "From our established breeding program we are able to cement breed characteristics that suit a dog to the role of a Family Protection Dog. However it's always a 60/40 split between genetics and development from a young age. 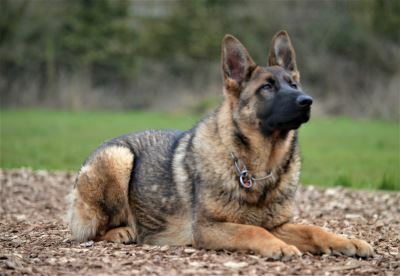 It's something that were very good at and combine that with real world training we produce the very best protection dogs"
Sadly there is no regulatory body or watchdog for the training and sale of protection dogs in the UK so I would encourage you to do your research as the potential purchase of a protection dog is a well considered one and one investment that should protect your family. Protection dogs should be balanced individuals trained to exacting standards and most importantly the individual dog should be a perfect match for the client. The match between client and protection dog is an essential one. Each dog is different in terms of drive and personality let alone size and structure so there are a few things to consider when looking at a potential family protection dog for your family. Personal protection dog senior trainer Bob Pocock has over 43 years experience in handling and training police dogs in the UK. An integral part of the team; Bob brings a wealth of experience and knowledge to K9 Protector. "I have worked for K9protector for over four years. My main duties are home testing fully trained adult dogs. The selecting of dogs to enter our breeding program. The whelping of the puppies and raising them into adulthood to become family protection dogs. It's so satisfying to take a puppy from birth to adulthood. Along this journey they become confident individuals through our structured program of obedience, environmental training and protection training. Every day is different for me and it's a wonderful experience being able to develop and work so many different dogs and knowing their individual personalities. It makes me very proud when protection dogs leave us to their new homes and the new owners comment how lovely they are and how well they adjust to their new situations. Prior to coming on board I had sixteen years experience in the private sector developing and training large breed working dogs." Obedient Pet or Family Protection Dog - What's the difference between the two?